You know it’s coming when you see the chip in your windshield. You ignore it. It’s better that way. Then one day that a small crack protrudes from the chip. The crack grows and grows horizontally and vertically. You may even be adjusting your driver’s seat so the crack is not in your line of sight. Until one day, you can’t take it anymore and you call CID Auto Body & Paint with convenient offices in San Marcos to replace your windshield. Without a glass windshield, driving a car would be impractical and nearly impossible, especially at high speeds. Between the wind, bugs, rocks, and other road debris that hits your windshield on a daily basis, driving a car would at the very least be unpleasant without glass. Windshield glass has a layer of plastic between two layers of glass. When a chip or crack appears, it spreads into this inner layer of plastic. Sometimes the glass can be fixed without replacing the whole window. Size. If the chip or crack is quarter-sized or smaller and less than three inches long, usually only a repair is required. 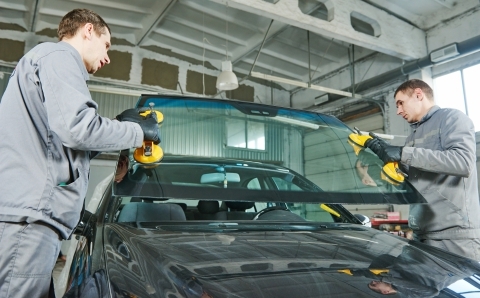 Anything outside of these parameters usually requires a windshield replacement. Location. Cracks at the edge of the window pose a structural hazard. They tend to spread very quickly and in most cases need to be replaced. Degree of the damage. If the window is severely damaged, it will have to be replaced. If you’re like most people, you put off repairing the chip in the windshield until the last minute. As with anything that’s broken, the sooner you notice a chip or crack and bring your vehicle into us here at CID Auto Body & Paint, the more likely your window will only need a repair, saving you time and money. So where did glass come from and who got the idea to make a transparent material? CID Auto Body & Paint explores the history of glass. It all started with obsidian, which is a naturally occuring, volcanic glass that forms when lava cools rapidly with little crystal formation. Ancient peoples used this glass for knives, arrowheads, jewelry, and currency. It was also one of the first materials mirrors were made from. Our first recorded writings of glass is from Pliny, an ancient Roman historian, who suggested Phoenician merchants had made the first glass in Syria around 5000 BC. However, our archaeological evidence first shows man-made glass in Eastern Mesopotamia and Egypt around 3500 BC. Two thousand years later, glass vessels appeared in ancient Egypt and Mesopotamia. Making glass was a hard and slow process due to the extreme temperature that must be obtained to melt it. However, with the invention of the blow pipe in the first century BC, glass making exploded, making it easier, faster, and cheaper. Glass production flourished and spread throughout ancient Rome and its Empire. By 1000 AD Alexandria in Egypt was the most important center of glass manufacture. Europe fueled demand for the product and evolution as the Roman Catholic Church demanded stained-glass windows for its churches and cathedrals in the Middle Ages. By the 15th century, glass became nearly colorless and transparent when a Venetian named Angelo Barovier invented ”cristallo.” Like everything humans invent, glass continued to be refined and its uses expanded. Nowadays, glass is an indispensable material found everywhere from the store windows you look through to the soda bottle you drink from to the windshield of your car. Unfortunately, glass like the oxygen you breathe is so ubiquitous that you probably don’t notice it until it breaks. That’s when CID Auto Body & Paint is ready to help with all of your glass repair needs. 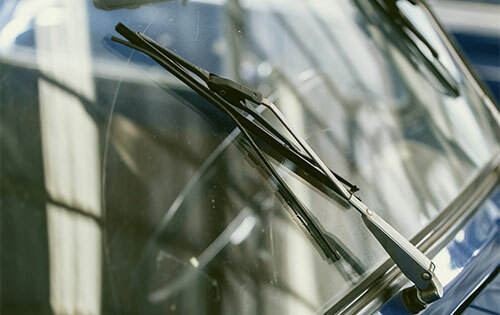 If you have a chip or a crack in your car windshield, call CID Auto Body & Paint today. As the Top Rated Local® San Marcos Auto Repair Shop, we’re the best in the business when it comes to serving our customers. We always go above and beyond our customers’ expectations to deliver an exceptional and reliable glass repair and glass replacement service. Contact us today to schedule an appointment or get a free online estimate!